Kari Soderquist serves as the Program Coordinator for the China Cooperative Academic Programs. As such; she works extensively with faculty, staff, partner institutions, stakeholders and international students to ensure management and delivery of the program. Previous work experience includes being an advisor for the School Counseling Education Program at USU and a school counselor. Kari is passionate about education and lifelong learning. She advocates for student educational opportunities and growth. 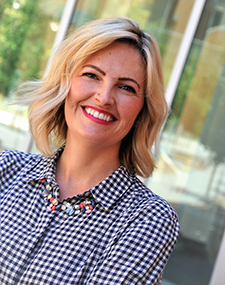 Kari earned a Bachelors of Science in Social Work from Utah State University and a Masters of Education in psychology from Utah State University.